Playing with a Markdown text editor called Bear today. Careful attention to the UI and design translates to a solid UX. 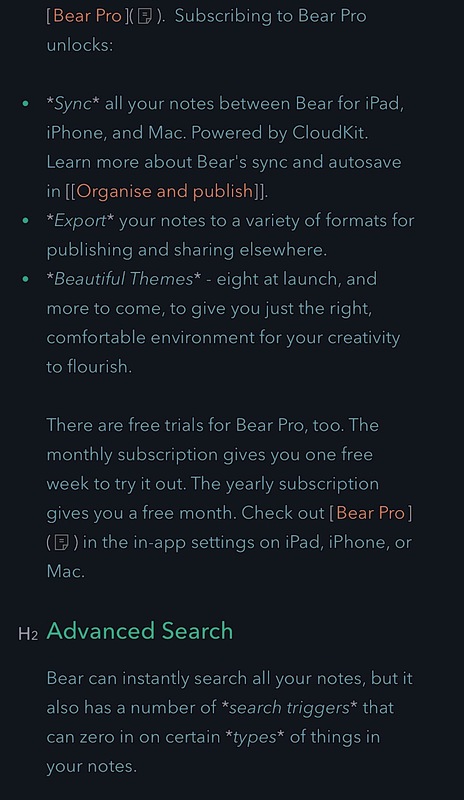 Although the Editorial app by OMZ Software is still the power-user’s choice for plain text and Markdown, while also getting around the subscription model of Bear ($1.49 monthly or $14.99 annually), Bear is an elegant product. It will be part of my workflow as a lighter version of Editorial (which does offer Dropbox syncing as opposed to Bear’s reliance on Apple’s CloudKit). The use of hashtags to create folders and sub-folders is a nice simple way of keeping notes organized. If you already use Editorial, this might not be the app for you. 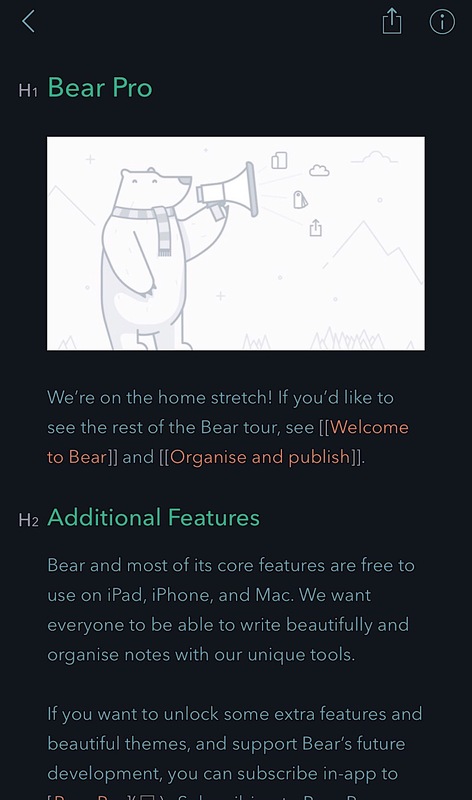 However, if you appreciate elegant design in a Markdown text editor, you probably won’t regret Bear. You get export options that include HTML, PDF, DOCX, MD, JPG, and RTF. 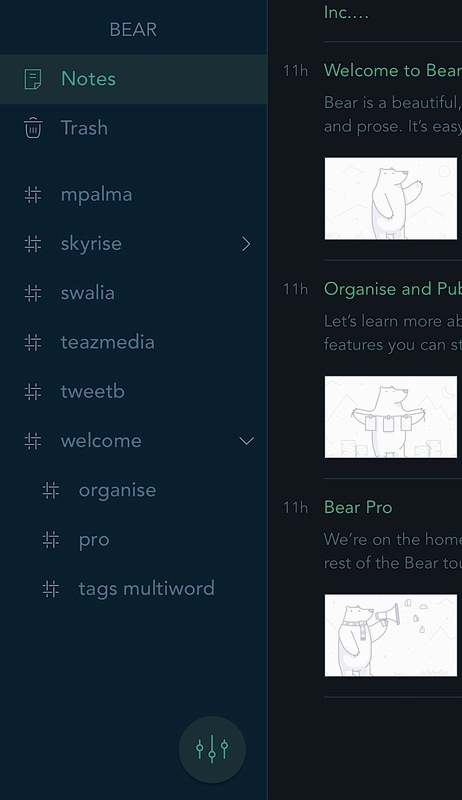 See the GIF above for Bear’s advanced keyboard menu (Gotham theme). 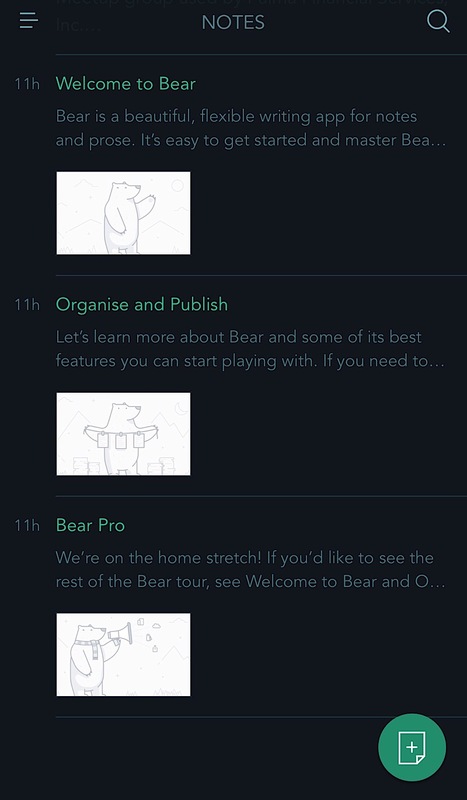 Note, the advanced features that you might find free in another app will require a subscription with Bear. I think the apps’s elegance and attention to detail though, make this a writer’s or content creator’s choice that won’t disappoint.